The first phase of the prestigious gas pipeline project in Andhra Pradesh is going to be completed by November 2017. According to Ajay Jain, Principal Secretary, the tenders for this project will be called in June. The first pipeline will be spread over the four coastal districts of East Godavari, Visakhapatnam, Vizianagaram and Srikakulam. A total of 301 km would be covered from Kakinada to Srikakulam. The second pipeline will be spread over Krishna, Guntur, Prakasam and Nellore districts. It would pass on from Vijayawada to Nellore. Both the pipelines will be laid by AP Gas Development Corporation (APGDC), a joint venture of Andhra Pradesh Government and GAIL Gas Limited with 50 per cent equity each. LNG terminal will be set up at Kakinada Port with a total cost of Rs 471 crore. This terminal will generate 7,000 MW power and will be operational from November 2017. “We have decided to supply LPG to domestic consumers, CNG to vehicles and gas to industries. 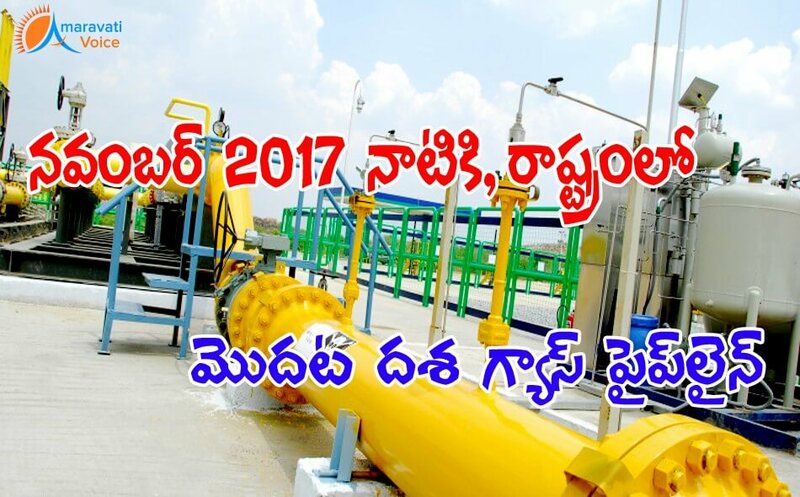 For this purpose, gas-based industries will be developed in East and West Godavari districts,” he said.